Kranj, Slovenia-born drummer Kristijan Krajnčan first studied the violincello before going on to jazz drumming. The move turned out to be astute for he had now found his niche. On his way to graduating in jazz drumming, and even later, he won several European prizes, and was active on the jazz scene playing in groups that ranged from trio to big band, besides leading his own KK Contemporary Jazz Ensemble. In the midst of all this he found time to direct three short films. Krajnčan is an innovative conceptualist whose writing shows an eye for detail and stylistic impulses. His work sits in well for the septet but he leaves enough room to orchestrate the arrangements and make them sound like a big band. His structure is open to solo spots that the musicians can essay at length with the unison passages holding it all together. The motifs that spur his ideas become apparent on "Basically Actually Eventually," as the brass layers the progression. The texture is molded on the go until trumpeter Ambrose Akinmusire shifts it into linearity and adds ideas that with careful imagination. 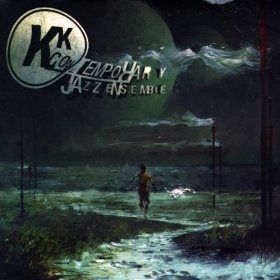 Interaction leads to the scintillating flow of Tarek Yamani's piano with the final extensions given by Lojze Krajnčan's (EVI) Electronic Valve Instrument and Jimmy Greene's tenor saxophone as the music throbs and pulses with muscularity. Rhythm is key, and Krajnčan abets it with his supple sense of invention. Several elements come into play on "Ashes to Ash . . . tray." The momentum is limber, as the horns envisage patterns that range from the forlorn to bouncy interlocutions. The atmosphere is enlivened when the EVI comes into play as it makes the melody dance and swing. Add an irresistible beat and this tune turns out to be a winner. Akinmusire's forlorn voice heralds an ongoing interaction between the musicians on "Siberian Bear Suite." As always, the drumming is crisp and fires the rhythm, but there is also Perpetuum Jazzile, a group that provides a vocal tableau and adds to the dynamics. The thrust of this three-part suite is forged on the go, with Greene blowing a hard bop groove embellished with forays into the upper register. Akinmusire seeks a freer idiom, his playing fragile and searching as he gathers the slivers of his invention and braids them into an impeccable whole. The final segment swings brightly with some pungent blasts from the trumpet, for an impressive resolution to the suite. Track Listing: Basically Actually Eventually; Decision to Make; Only Passing is Eternal: Part 1, Part2; It's For You; The Cockroach; Siberian Bear Suite: Statement 1, Interlude, Statement 2. 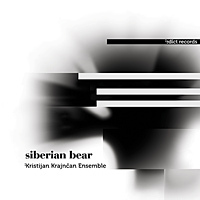 Personnel: Kristijan Krajncan: drums; Ambrose Akinmusire: trumpet; Jimmy Greene: soprano and tenor saxophone; Lojze Krajncan: EVI (Electronic Valve Instrument); Tarek Yamani: piano; Nate Allen: double-bass.